My cats love bags. Here is Sasha in one. Shortly after this, Gracie entered the same bag. There is no picture because it was a blur of a bag tumbling across the floor. There may have been a lively discussion going on inside the bag. Or a tussle. This is what it looked like when it was over. It’s at a different position and not exactly in great condition. However, two cats were happy. No one plays with my bag! Here is Gracie with the battered bag. Happy as a clam. All the bag kitties here wish you a great weekend! 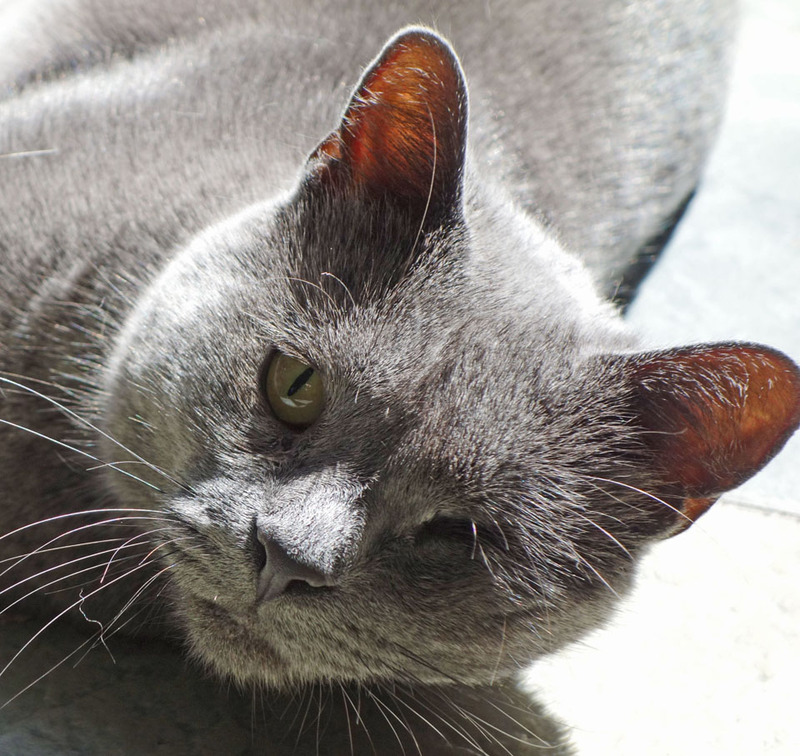 This entry was posted in For Animal Lovers Only, Humor, Sassy cats and tagged animals, cats, cats in bags, Gracie, pets, Sasha by Kate Crimmins. Bookmark the permalink. Once again humans are clueless about the Joy of Bagging It. (And cats like their privacy…camera surveillance is easily avoided by feline doing sure stuff! I’m working on a video of Sasha doing her “you are not feeding me fast enough dance.” It’s accompanied by a soprano trilling that I can’t describe. It’s way different than a trip to the vet serenade. Don’t hold her breath though. Oh yes. I know the scolding voice. Gotta love they can find so much entertainment with something as ordinary as a paper bag. Love it! It surprised me too. They tussle sometimes as they are the youngest and still playful. I wouldn’t have expected Gracie to go in such a confined space with Sasha though. I haven’t seen it happen again but you never know. The new bag is still there in good condition. 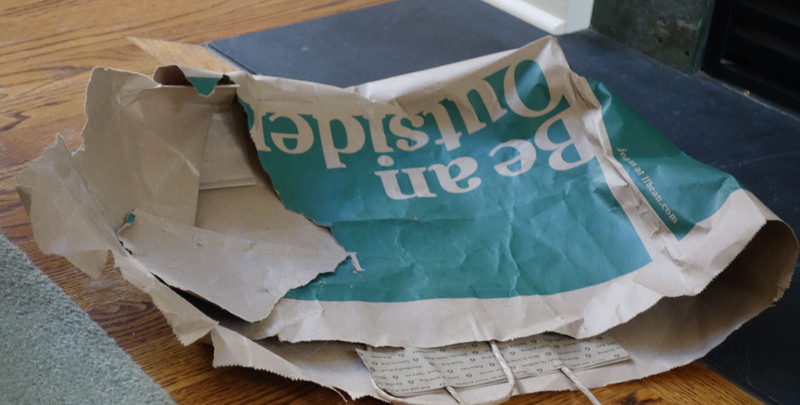 Yes, I still find bits and pieces of the old bag. Something must have startled her. Maybe the bag tearing. Not sure what she expected. She slept on the new bag last night so she’s back in the game. I love this! Bags and boxes seem to be a universal cat obsession. I would have loved to see the bag rolling across the floor, spitting and a-hissing. It was very funny. I didn’t see it coming and my camera wasn’t in the room. By the time I got it, only Gracie was there. Sasha had taken off. LOL! what fun! I wish I could be equally entertained with one shopping bag. Just like my nephew when he was little…except with boxes. One time we got a new refrigerator. It came in a ginormous box. I was in heaven! So funny. I can imagine the bag moving like it was possessed by demons. It did. I didn’t see Gracie go in so I wasn’t sure who was in but it was rolling around. What fun! It’s too bad the cats didn’t give you notice to set up a video session. As soon as they see the camera they disperse. Much like when I get out the carrier to go to the vet! The cats are . . . out of the bag. Great shot of the remains. Thanks. Bags are easier to photograph than cats are. Bags and Boxes! Who needs to spend big $$ on toys!!!! Just provide a paper bag and a box and you are a super hero! Great post Kate. They are a hoot especially when they are young. I don’t really have any bag kitties. Sophie (twice now) has gotten her head stuck in the handle loop on that same type of bag in your photos. She freaked out both times. Zipping, zooming around the house – bag in tow. I usually take the handles off because that does happen and can freak them out. That is funny. Cats love their bags and boxes more than toys. More than anything except catnip. We can learn a lot from animals. Their needs are simple and they are happy with them. I never tire of seeing cats sitting inside things. They give the sayin ‘in the bag’ new meaning. Good pics. They are simple creatures. 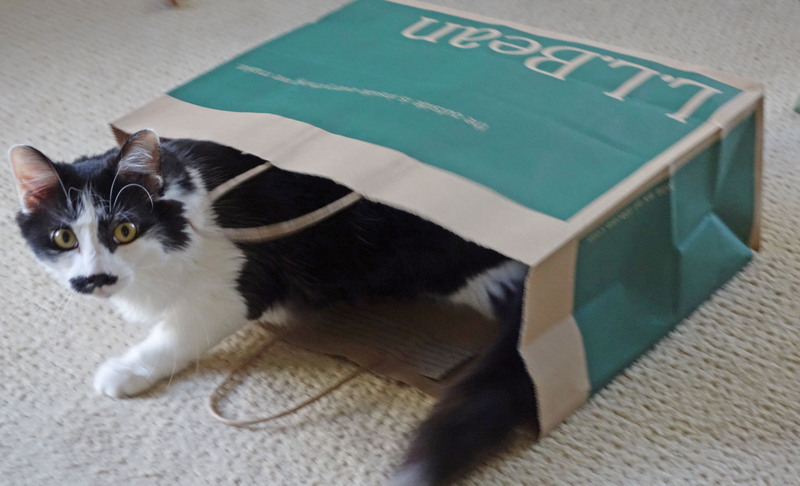 Other than the cat tree and beds, they don’t play with things that are “bought.” Although keeping them in shopping bags requires shopping and that can get expensive! Paper bags and boxes, best cat toys ever! They love a good box too. My husband keeps saying there is too much stuff sitting around the family room so I only keep one box or bag. They have others in other rooms. That’s cause you are two strong weims! Fortunately that cats only like paper bags or I’d be in BIG trouble! Dying laughing! That bag cracks me up. I can only imagine Sasha and Gracie in that bag at the same time. I would have been falling on the floor laughing! Z Cat loved those paper shopping bags, too. Wishing the Sassy Cats a bag filled happy weekend! It was hysterical as the bag (and the cats inside) were rolling around the floor. I heard some snarks, some hisses and a yelp before it burst and cats came flying out. Would have made a great video. Unfortunately they don’t tell me when they are going to do something cute so I can be ready with the camera.